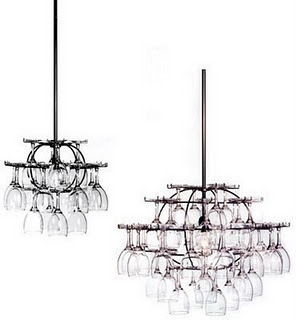 A chandelier that is also a repository for drinking glasses. You can store the same or different kind of glasses. Clear or colored. Be as creative as you’d like! The glasses aren’t there for decorative purposes only, they’re meant to be used. This chandelier would be perfect for someone who does a lot of entertaining, or in a bar.